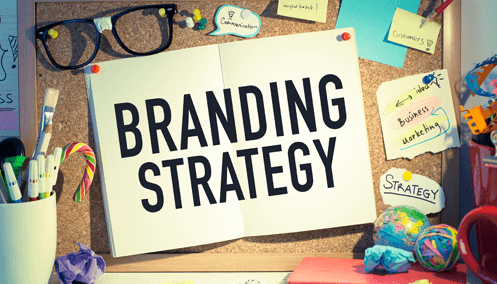 Your company already has a brand. And it’s not your logo. It’s your image to the world, based on what they see, hear and experience about you. Even though your brand is ultimately determined by public perception, you can still influence feelings about your small business with the right strategy, visuals and messaging in place. So are you maximizing your opportunities to enhance your company’s greatness? Consider these three areas where you can create meaningful, relevant experiences with your audience to strengthen and enhance your brand. Company website – Gain trust with online consumers and reach a wider audience with your message 24/7. And make sure your site is mobile friendly too. Business- branded email – Show the world your company is established and professional so potential customers will find you more credible. A Custom Web Address to Your Social Media Page – Having your own web address makes it easy to tell people where to find you online and shows credibility. Email – Boost customer loyalty and drive business to on- and offline channels through email marketing. SEO – Increase your website’s visibility to search engines so your site reaches more potential online consumers. Twitter ads can work with any budget, and can easily be set up with just a credit card. Facebook, Instagram, and LinkedIn allow you to segment advertising targets by age, gender, location and interests, among others. YouTube offers free services, charging fees only if users actually watch your videos. Content – Create and distribute unique content to attract customers to your brand, products and services. Customer service – take the necessary steps to ensure you are providing a consistent, seamless customer service experience through all channels whether it’s your help desk, live chat, and yes, social media. Design & Messaging – be consistent with your logo, colors and graphics (i.e., stationary, brochures, apparel) and messaging across all forms of communication (i.e., web articles, Tweets, newsletter) since this is key to building an effective, accurate brand. Bottom line: your brand is not a fancy symbol, but what the public feels (and then shares!) about you. By clearly communicating who you are and what you’re about, the world will eventually see how great you are too. If you have any questions or are in need of assistance with enhancing your brand, contact The BLU Group – Advertising & Marketing at 608-519-3070.